Representation of Georgetown University in connection with zoning and entitlement approvals for its Campus Plan, which has included coordinating related approvals for its clinical partner, MedStar Georgetown University Hospital. 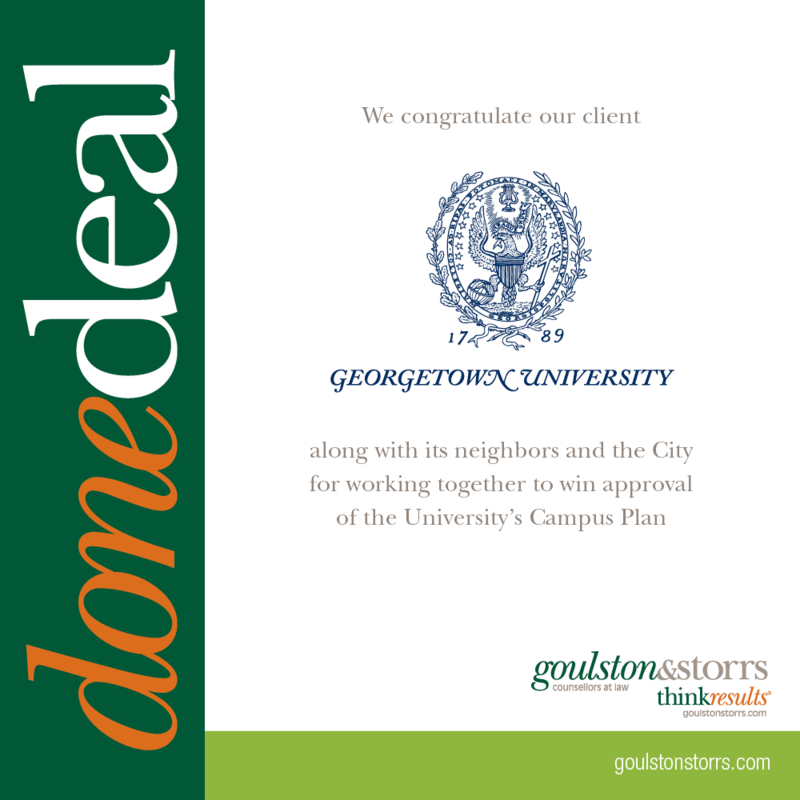 Georgetown is a longstanding client of the firm and has been key to our industry group’s platform in the District. Several years ago, we advised the university in its development of Georgetown Community Partnership, a project focused on fostering collaboration for future planning within the university, the community and the city. Large institutions generally undergo the master planning process every 10 years, but through this unprecedented collaboration, Georgetown has secured approval for a plan that will oversee campus development over the next 20 years. We have also been working with Georgetown University and MedStar Georgetown to secure approval for a 500,000-square-foot medical and surgical pavilion that would see the existing hospital complex expanded and modernized. Serving as the university’s chief land use counsel, we guided Georgetown in connection with all aspects of the planning process, including coordination with the community and—and its hospital partner—to develop this inclusive plan.